It's Not Serious! 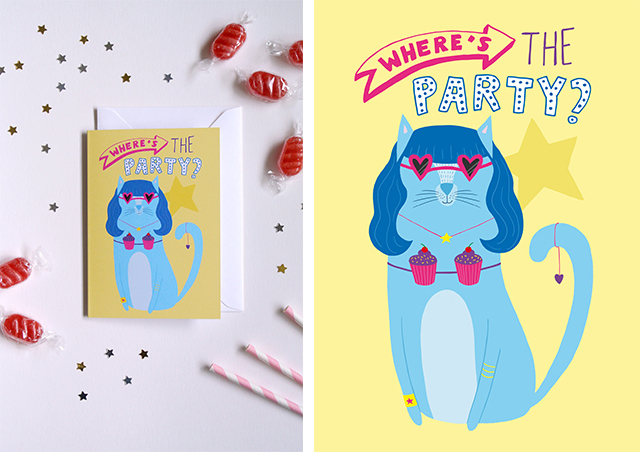 : I'm Launching my Etsy Shop! I'm Launching my Etsy Shop! Say whaaat? I told you that this super secret project I was working on was something BIG! I can't believe I finally did it! It's one of those things that you think 'One day I will do that...' and you kind of wait for it for no reason. So one morning, I thought to myself 'Why not now?' I already had the idea, I just needed to get stuck in. And when I did, I absolutely loved it! 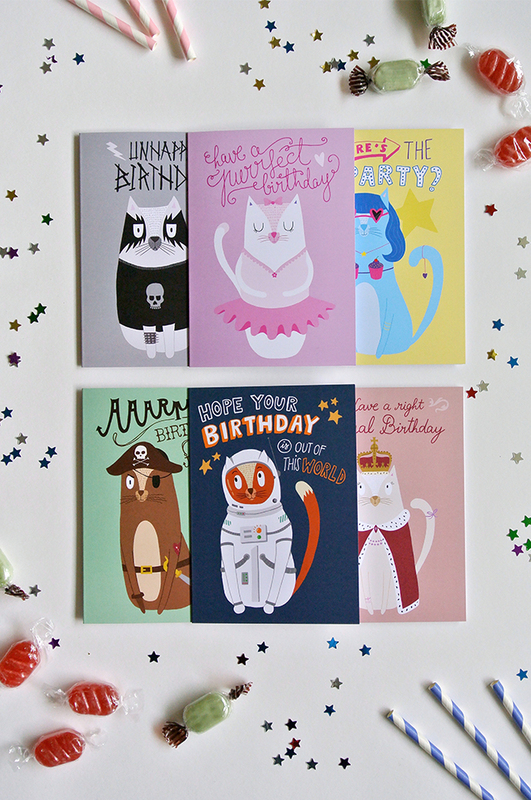 You can now visit my Etsy shop and find 6 original birthday cards, illustrated by myself. The shop will be constantly growing and I will have some Christmas cards available very soon so make sure to spread the love! I knew from the beginning of this project that I would make sure to have really different characters on each card. 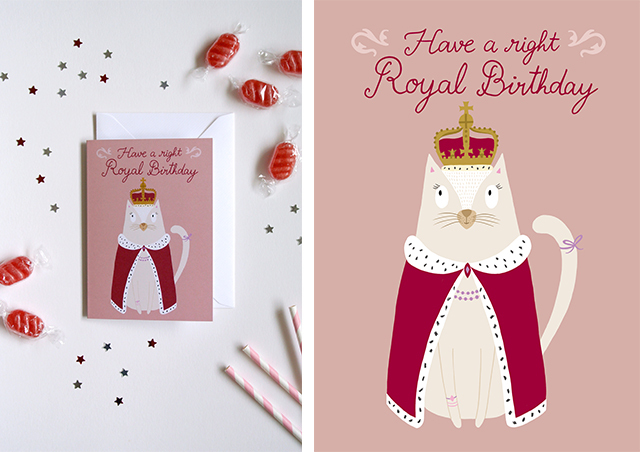 And being in the UK, I couldn't avoid the call of a proper royal cat. You would have thought that the crown is the main element that makes it all work, but I think the cloak was the final touch to make this lady very special. 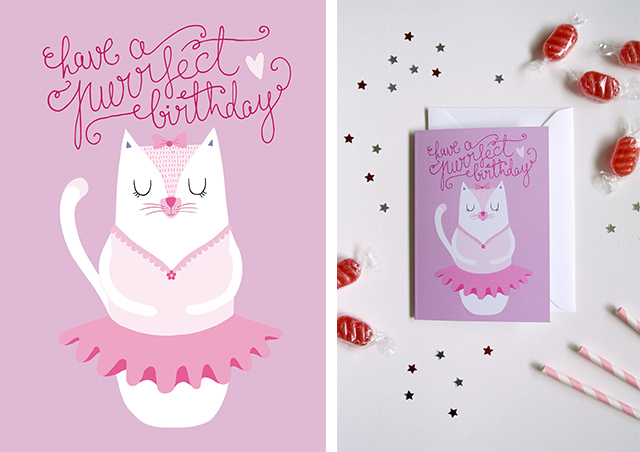 For Miss Ballet Cat, I thought about what a little girl would like to receive as a birthday card and I think that the soft pinks and delicate tutu make it perfect (or should I say purrfect) for a sweet cute little girl. Right, this one is all Jason's fault, but I have to say, I actually love it! 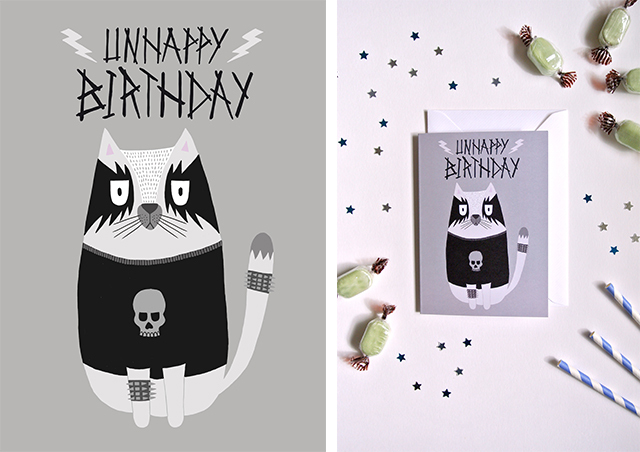 I think I needed more of a crazy cat in this collection and a Catty Purry illustration definitely does the trick! Who could resist these cupcakes?! Because I would like these greeting cards to not be exclusively for kids, I was thinking about having one that has more of a radical message. One that we could offer as a joke to one of our friends. So Jason thought I should do a black metal one! 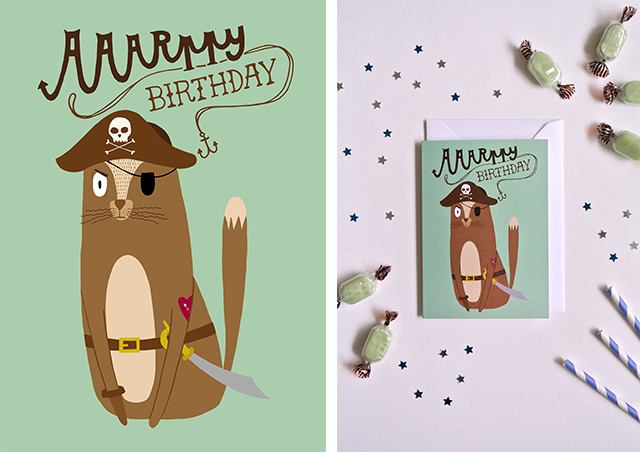 I thought I wouldn't enjoy creating this illustration much, but I actually found it really funny and I love how even the whiskers are feeling down. Typical but oh so enjoyable! 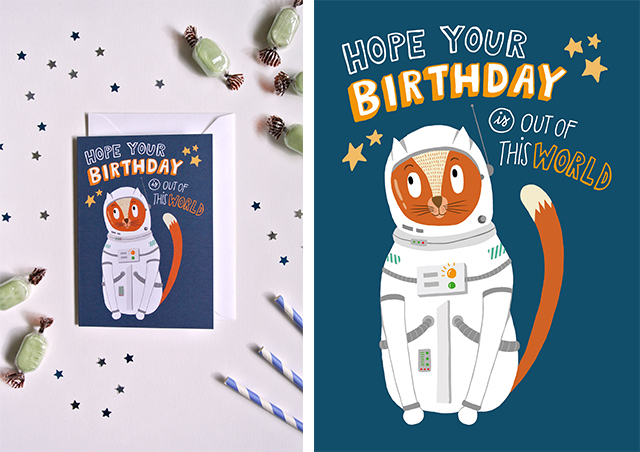 Mr Astronaut Cat was my first idea, and I knew exactly how it would look in my head. It was also the first illustration I created and that made this whole project so exciting and close to my heart. Also, it had to be a ginger cat, because the contrast with the outfit and the background is the best! And finally, the crazy pirate with its staring eye has to be one of my favourite. It was a bit of a challenge at first to think about how I could represent him, but once I started, ideas were flowing and I think he looks pretty good. Arrr! So here we go, after all the hard (but extremely exciting) work, I'm now ready to put it all out there and I truly hope that you like them! Check out my Etsy shop if you haven't had a chance yet! Giveaway - "Spots & Arrows" wallpapers!